Well, this evening I’m leaving Columbia, and so is Jeff. We’re off to our respective homes — him to Maryland for Thanksgiving, and me to Texas for however long. I spent two weeks in Columbia. Overall, it’s been a good two weeks and a good break. 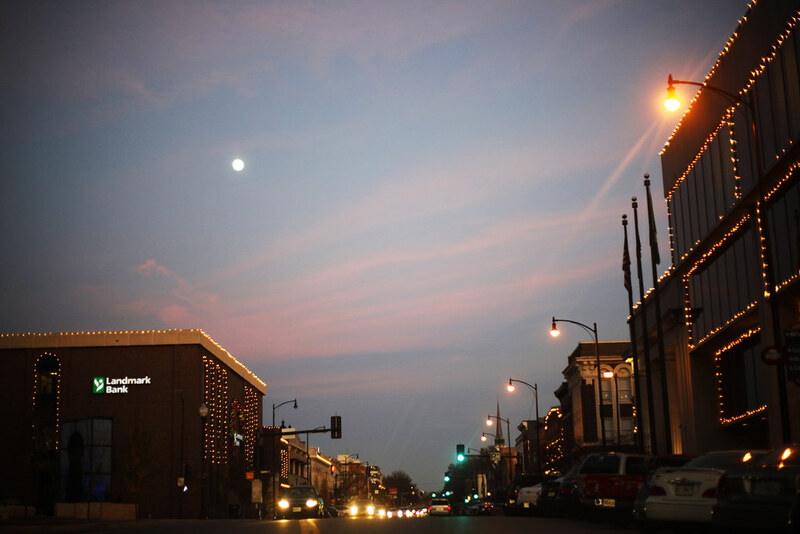 Sunset over Broadway in downtown Columbia, a few evenings ago. This was taken through Jeff's newly-washed windshield as we drove downtown. I still have a few more photos to blog from this trip. Those will come soon — but without the “COLUMBIA, Mo.” dateline.